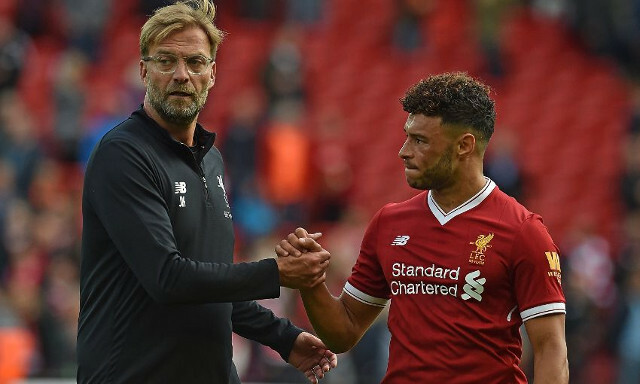 Jurgen Klopp has intimated that Alex Oxlade-Chamberlain looks ‘completely fine’ and has told supporters the midfielder is ‘really close’ to a first-team return. Almost giddy, the German said he ‘cannot wait’ to bring him off the bench as well! The English midfielder has been out of action since last April, when he ruptured knee ligaments against AS Roma in the Champions League semi-final – which was devastating considering the form he was in going into the match. Most indications suggested he’d only be ready at the end of this season – in April or May – but we think we’ll now see the former Arsenal man before the end of February. “I loved it like the fans loved it, if they loved it! It is just brilliant!” Klopp told the official website. “What they did so far, it makes sense. You do the things to make sure the knee is again at 100 per cent. That’s obviously the case and that’s good, but from that moment on then you need time to adapt to the intensity of the game and that will take a while. But I pretty much can’t wait until we can involve him, at least for [a few] minutes. It is so nice. What fantastic news. Liverpool currently have a plethora of injuries, but Ox’s return will be a very timely boost – especially with 15 games still left of the Premier League and an upcoming Champions League quarterfinal with Bayern to play. He’s not going to be starting games immediately, but his dynamism should be very handy from the bench at the end of matches – either on the right flank of our 4-2-3-1 or on the right-hand side of the midfield three in the 4-3-3.